North Dakota is a U.S. state in the midwestern and northern regions of the United States. It is the nineteenth largest in area, the fourth smallest by population, and the fourth most sparsely populated of the 50 states. 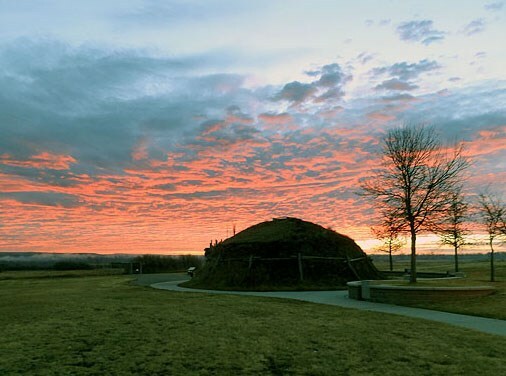 North Dakota was admitted to the Union on November 2, 1889, along with its neighboring state, South Dakota. Its capital is Bismarck, and its largest city is Fargo. The Missouri River Lodge is a working farm that is partially arable but also has a herd of cows. The setting is wonderful with the farm set among rugged sandstone bluffs, some having been carved into steep cliffs and sharp pinnacles by the effects of the elements over many years. 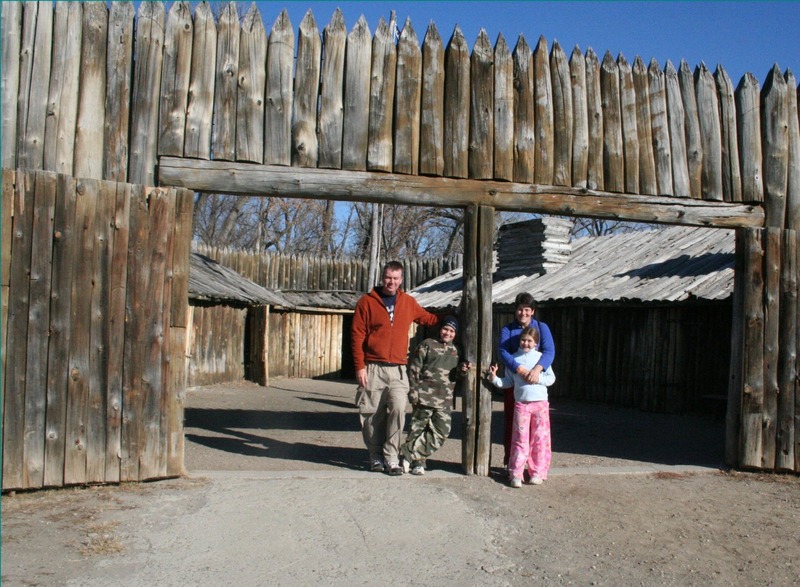 After visiting the Lewis & Clark Interpretative Center we traveled two miles down the road to the Fort Mandan replica, where Lewis and Clark arrived in 1804 and met with the Mandan and Hidasta tribes. 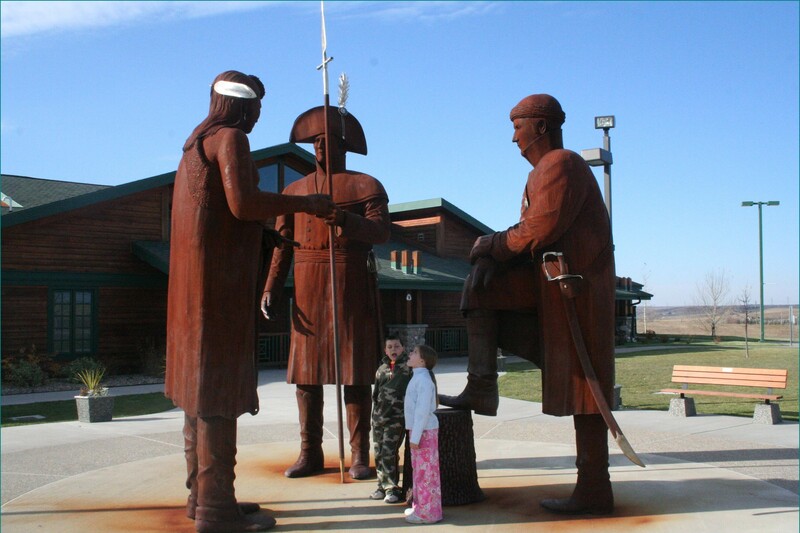 The Lewis and Clark Interpretation Center in Washburn, North Dakota tells the story of Lewis and Clark’s arrival in the area in 1804.